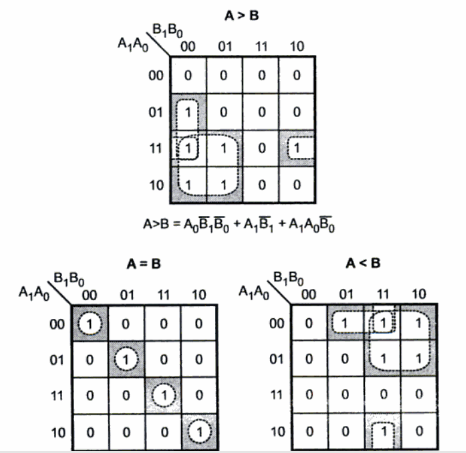 Explain the concept of comparator. 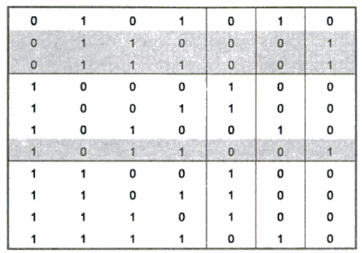 Develop the truth table for 2-bit binary comparator & design it using a suitable decoder & additional gates. 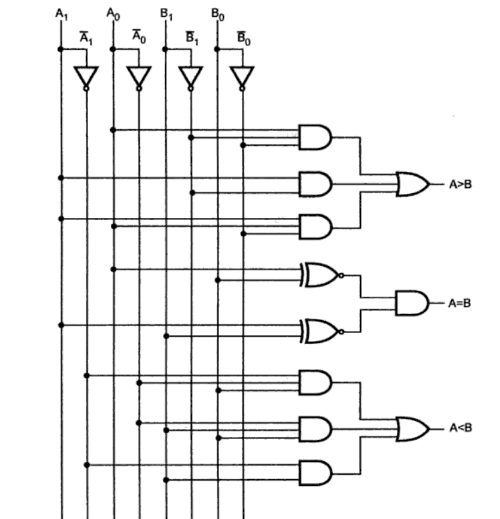 Question: Explain the concept of comparator. 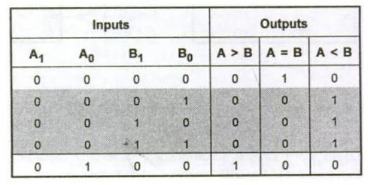 Develop the truth table for 2-bit binary comparator & design it using a suitable decoder & additional gates. 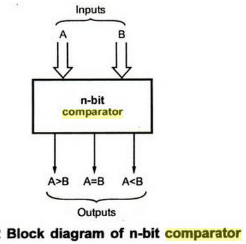 Figure below shows the block diagram of an n-bit comparator. 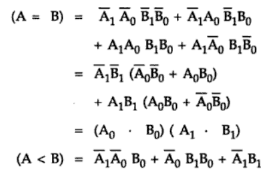 Depending upon the relative magnitudes of the two numbers, one of the outputs will be high.